Now that I am actually getting prints (thanks again to this forum)... 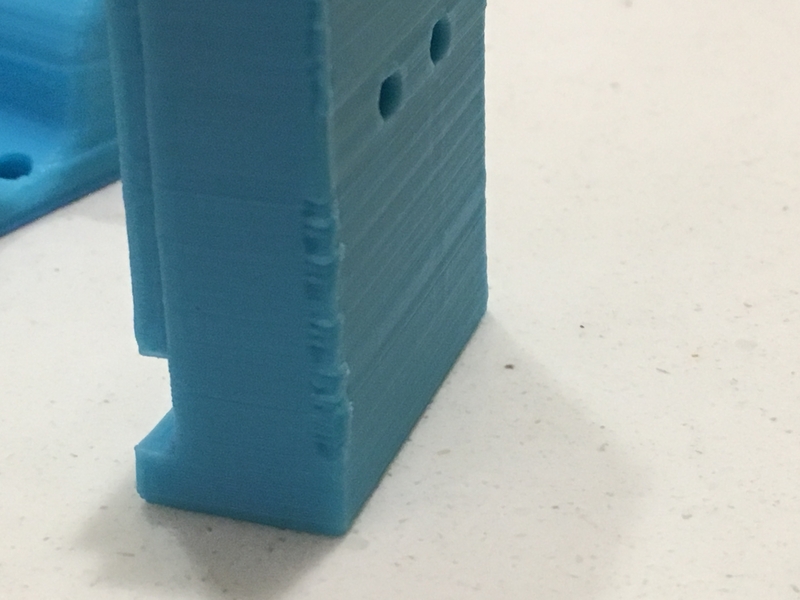 I am having a few issues..
Not sure if I am printing too hot (first layer is set to 215 and 210 after) or if this is a product on not yet having additional part cooling (still trying to find a cooling fan duct that will work for a 3 extruder tarantula). Here are a few pics of what i am seeing.. Thank you in advance for any thoughts or advice..
First picture is a clear overheated pla picture. You print so fast that the printed filament did not get hard before adding next layer, so you are mixing the pla soup. You need a fan or configure the minimum layer time in the slicer so slicer slows down/adds pauses to let it cool naturally. Fan is of course faster choice but both work. Second pictur eis not cooling, but excess filament. Assuming it is the starting point of the loop where it happens it could be that undo retract puts more filament on it then planned. Again in slicer you can configure this. 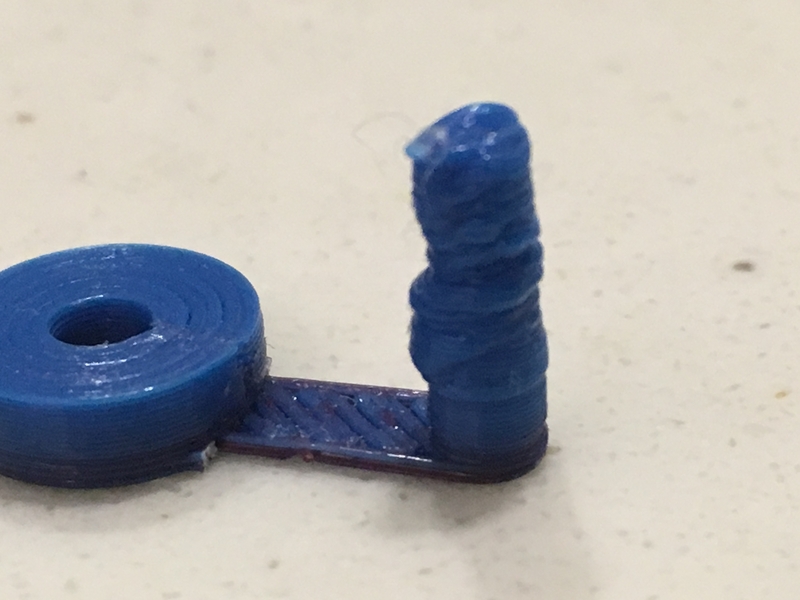 Maybe you have set that you want to extrude some extra 0.2mm after undo retraction. Ok... I changed the slic3r time to "Slow down if layer print time is below" 1 approx second.. That part is obviously taking less than 1 second to print since the bulk of that part is the tower itself, I also added a large fan off to the side of the printer (not sure thats the way to go, but i figured i would at least get cooling on the part while it prints), i turned it on after the second layer printed and the print actually looks pretty good, after it printed it installed in and forgot to take a picture of it..
For the second, I looked at the settings and the retraction length is set to 4 and the settings for extra length on restart is set to 0 for all 3 extruders. i do not know if that is the start of the loop as I was not watching that part when it printed. 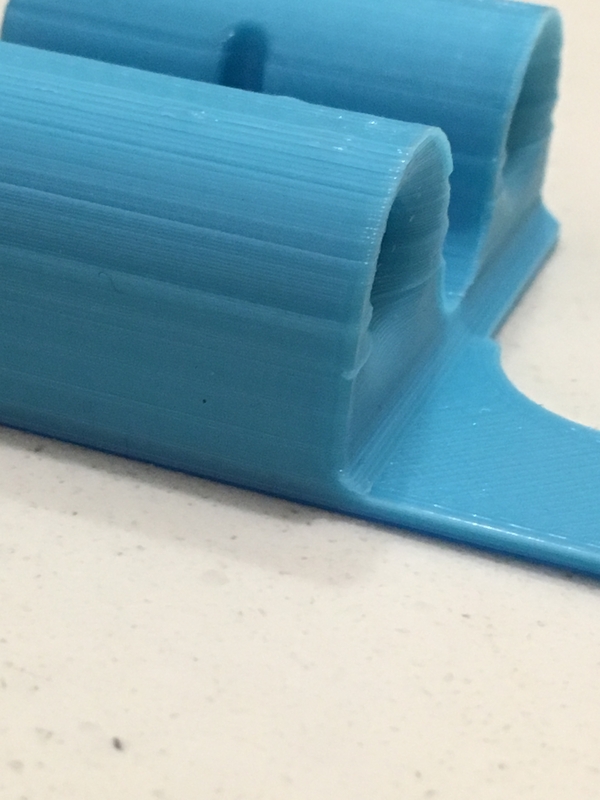 I did actually set a time lapse video in octoprint.. looking at the video, it appears that the start of the loop is actually the center of the part and not that corner.